This article is part of the GM Authority Opinion Desk series, where you can see exactly what’s on the minds of the GM Authority crew. It’s not that I don’t like this car. I do. I really do. I just fail to see how it makes sense. Hear me out. First off, forget about how great of a car it’s going to be. The Regal GS doesn’t fit in with brand’s overall positioning its been putting out lately. This is a biggie, because a brand’s “Big Idea” indicates heavily on just what target market it is trying to appeal to. Anybody who has some brains in marketing knows that. And with smooth, elegant luxury vehicles such as the LaCrosse and Enclave, it’s hard to see where the brash and upcoming Regal GS fits into Buick’s overall message (yet alone the standard Regal, available now). Yes, Buick has been looking to appeal to younger crowds, such as Generation X – but this can be achieved through abundant technology features and modern, tasteful styling- and not this faux-“sport injected” mumbo-jumbo the commercials have been pushing. It just mucks everything up. If you want a General Motors sport-luxury vehicle, go for a Cadillac. One could purchase a CTS Sedan featuring the LLT V6 engine with the AWD Performance Package, Recaro racing seats, and 18″ polished wheels for $51,145 (including the $825 destination charge). Pricey, yes, but the Insignia OPC sedan also commands a steep price, at 44,900 euros (according to Autobild.com.) It seems a smaller number, until the exchange rate kicks in. For those of you that follow our weekly podcast, you know that I have just returned from a trip to Greece last week. During my stay, the dollar was trading in at exactly $1.40 per single euro. Using that number as a guide, the price tag for the Opel Insignia OPC comes to $62,860. I’ll repeat: $62,860. Considering the Buick Regal GS is a clone to the Insignia OPC, don’t rule this number out. For $62,860 one could acquire an LSA-powered, 556 hp CTS-V. A car that goes from 0-60 in 3.9 seconds, and holds the fastest Nurburgring lap time on the planet for a production sedan… what was so appealing about the Buick Regal GS again? Elephant number 4: What sort of cars will the Buick Regal GS compete with? A few AWD performers with similar size and power come to mind: the Audi S6, Acura TL SH-AWD, the BMW 5-Series xDrive AWD… but wait, doesn’t Cadillac hold far better brand positioning than Buick to offer models that can effectively compete with these cars? Very much so. I’m convinced the GM marketing wise-guys want me to believe with a straight face that people driving around in Audi and BMW models had Buick in the back of their heads when shopping for their new S6 or M5. Anybody with a sober mind knows that just doesn’t add up. Whichever vehicles the Regal GS plans on competing with here in North America, a Cadillac can do better thanks to its maturing brand position as a sport luxury brand. Secondly, Cadillac will no longer be a one-trick pony when the lighter and first-ever ATS compact sport sedan makes its way into the world, which could be as early as summer 2012 – only a year after the arrival of the Regal GS. We also expect the ATS to be AWD capable, as well as offering a turbocharged-four in the engine bay. With Cadillac offering both the ATS and CTS in the near future, General Motors will have a solid foothold in the sport luxury sedan market. Attempting to shoehorn the Regal GS somewhere between these two models is a head-scratcher, indeed. Furthermore, new engines are on the way. Powerplants such as the twin-turboed LF3 V6. This engine happens to be based off of the meek 3.0L LF1, however the twin spools are expected to boost the power all the way up to 350 hp. This engine – which could easily fit into both the CTS and ATS from what we’re hearing– puts the Regal GS at even more of a disadvantage. If the CTS begins to offer the LF3 to go with the LLT and LSA engines in the future (which it very easily could,) it would stomp all over the Regal GS. Despite all of the reasons the Regal GS is completely illogical, there is something that makes me understand The General’s motives for the car. From a time and energy perspective, the Regal GS seems to demand just minimal effort. Because it’s a near-identical copy to the Opel Insignia OPC, just like the standard 2011 Regal is to the standard 2011 Insignia, all the hard work such as research, development and serious troubleshooting seems to be essentially done already. So, maybe it’s just a way to make a quick buck – albeit at the sacrifice of clear direction. My overall dislike for the decision to produce the Buick Regal GS does not mean I have any less respect for any of the engineers within GM, and it certainly won’t stop the car from being a hit with both publications and enthusiasts alike. But sometimes it’s not about what a brand does, but rather what a brand doesn’t (should not) do. For Buick, that means staying out of Cadillac’s territory and to just focus on becoming a Lexus-beating marquee. ‘Would have made a hell of a Pontiac, though. I’m 29 yrs old, love my new 2011 Buick Regal, I previously had a 2007 CTS sport for 3 yrs, and I like this car better and i’m paying $100 less per month on my lease. I know this has nothing to do with the GS, but Buick gained my attention, no better car to lease for under $300 a month and minimal money down. Luxury for under $300 a month . Hey – that’s great! In fact, what you just described is the entire point of the Regal! But the Regal GS, on the other hand, is a completely different matter. Agree? I do know that all Buick’s have priced themselves out of my affordability range, so I will have to wait until they hit the used car market (not that I’m planning on looking for a vehicle anytime soon). My Trailblazer will have to do for a few years. Buick needs a sport sedan…….period!! Have you all forgotten you are down to just four brands now? If you guys had originally sent Oldsmobile and Pontiac in a better direction and not relied on such a mundane company like Saturn, you might not be in the boat you are now. But all that a side, you say Buick should concentrate on fighting Lexus, but have you seen the future of Lexus? Better leave Lexus to Cadlilac. No, there is nothing wrong with a sporty Buick. The Regal GS also has the potential of being an STI and Evolution fighter, and to pour salt into the competition’s wounds, it’d be from a Buick. You really want to sell a Buick? Go back to the Grand National and GNX days and make a high HP, RWD car. Or are you all scared? Um…. Tim, I think you have us confused with General Motors. We are not General Motors. Yeah, I guess I did huh!! LOL!! Well, you guys see where I’m getting at don’t you? Tim – Lexus’ future? It’s bright as heck! Not only is it the #1 luxury marquee in the U.S., it’s gaining a strong foothold in Europe, Asia and other developing nations (like Russia). I understand where you are coming from. That’s why I posted the Lexus comment. With the LFA, Buick would have some serious catching up to do. That’s why perhaps Cadillac should be the Lexus fighter. I’m all ready to trade my MINI Cooper in for a Regal GS. I’m not all about straight line speed. I like mountain driving and visit Hwy 129 The Tail of Dragon at least twice a year. The next best thing to a bike on that road is a competent, small car. So I just feel the Regal GS is right for the market. Now if it comes out and costs more than $40,000, I will probably keep my Cooper. Also, Lexus is becoming more and more of a full-line luxury automaker, offering both soft, comfortable luxury models like the ES and RX (America’s top selling luxury car and CUV models) and the more lithe IS, GS and the LFA halo-car, as you mentioned. With these offerings, they can compete more effectively with sport-oriented BMW (the #2 luxury automaker in the U.S.A.) and still appeal to the masses of people that are only looking for comfortable luxury vehicles. This is both good and bad for Lexus, because though it offers a lot of different vehicles, it still has to somehow send out two different messages as to what kind of brand it is. This plays to an advantage for GM because it offers two different luxury brands (Cadillac/Buick) that can appeal to both sets of target markets (being the comfortable-luxury crowd and the sport-luxury crowd). Cadillac obviously has been pushed more with the mission of competing with BMW and other sport luxury brands with the CTS and upcoming ATS, while Buick began its assault on Lexus with the launch of the LaCrosse and Enclave. If only they would stick to the game plan. GM shoots itself in the foot when it blurs the distinction and brand identity of its brands by offering cars that don’t fit in the lineup too well. 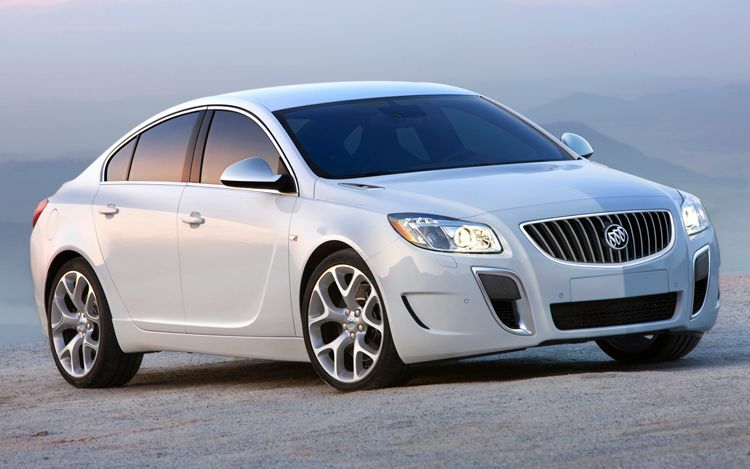 The Buick Regal GS is one of those cars. The Regal GS is also a perfect example of why Pontiac should still be around as a brand. I hope that helps put things into perspective a little bit more. PS, at 190 inches, the Regal is no small car. The US version of the GS will not have a V6…That’s been known for almost a year now. The US version will have the turbo 4 cyl, This is in keeping with Buick’s new eco-luxury theme. I don’t want a CTS. I’m in the market for a smaller, more nimble car and the Buick GS ticks all the boxes for me…most importantly: turbo 4, AWD, manual transmission. Jeremy, thank you for reading. As far as the price goes on the Regal GS, I understand that we could very easily see a much lower number when it arrives. I never outright claimed that’s the kind of price we will see. For the engine in the GS, the only reason to believe it will have a 2.0L turbocharged mill is because it was featured in the GS show car at NAIAS. We can currently purchase a standard FWD Regal with that very engine. The 2.8L turbo engine seen in the Insignia OPC can very possibly be the engine choice we will see, as GM has yet to announce exactly what will power it. That aside, what about the upcoming Cadillac ATS? It is expected to have all three of those things you mentioned, and its expected launch date is not too far behind that of the GS. I don’t think we will see the 2.8L TT V6 in the GS. If you look carefully at what GM is doing with Buick they are almost recreating what Acura used to be. Acura was the first Japanese luxury brand, yet it had this weird Civic-based sedan with a 4-cylinder and leather seats, and had a manual gearbox…and…some of them were even hatchbacks! WTF?!? But the Integra created Acura and defined it. That little car was the dream of every high school kid with a weekend job. Sure, Acura has now lost its way, but the minute it gets back to first principles (and I hear it is taking steps to do just that) things will turn around. That’s the same formula being employed here. The Regal doesn’t seem to fit. But I assure you it will do what no other car in the lineup can. Bring in 20-30-somethings. I predict that GM will also build a coupe version of the Regal, give it 300+ hp, AWD, and slap a GNX badge on it. Buick competes with the likes ofLexus Lincon Audi Acura. Cadillac competes with Ferarri Bentely AMG ecc, Cadillacs are EXOTIC, the BIG OHV V8’s make them more so, Cadillacs are make a “GASOLINE PUNK” statement with audatious styling and BIG OHV V8 engines they are not for everyone, Buicks are for sane individuals who might actually concider the competition. Cadillacs are like clasic INDIAN MOTORCYCLES, devoties of which consiter Harely Davidsons cheep copies, Cadillacs are not for everyone, Buicks can be. I would disagree. Is BMW for everyone? How about Audi? Products of these brands are more along the lines of Cadillac than what you may think. And Cadillac certainly DOES NOT compete with Ferrari or Bentley. The closest Caddy has ever come to an exotic is the Cadillac XLR. 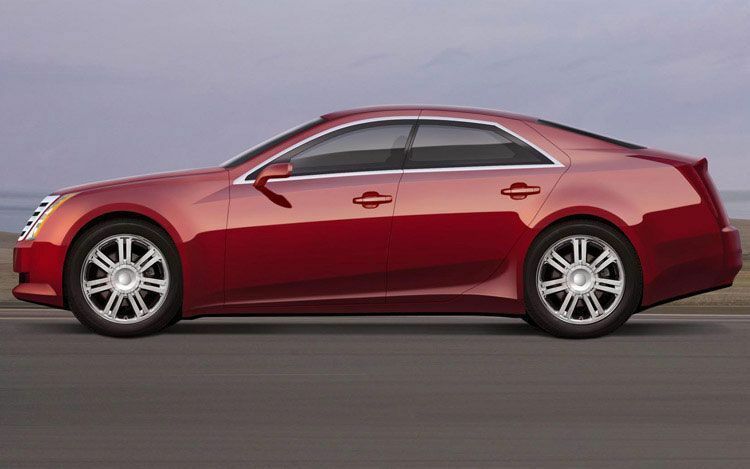 I was pretty excited about the new Buick Regal GS…until I saw the final product specs. It has less horsepower than was promised and the AWD system has been dropped. American carmakers just don’t get it! Take the Cadillac CTS as an example. I can get AWD in a a great sports sedan or coupe, I can get a powerful engine, I can get a stick, and I can get AWD -but I can’t get it all in one vehicle! I want a sports sedan with AWD and, since I enjoy driving, I don’t want to be isolated from it by an automatic -I want a stick. The foreign makers like Audi, BMW, VW, Subaru, etc. get it. GM, Ford, etc. don’t. Especially in the northern climates, but really anywhere, you want a great engine, but you want to be able to put that power down through a good AWD system -which can also give you more neutral handling no matter what the road surface is like too.